Fraser Valley – I’ve been watching a series of comments on an article I wrote titled Yielding on Left Turns. The discussion has involved a driving instructor, a former driving examiner, a professional commercial vehicle driver and myself. There has been considerable debate over what should and should not be done in the circumstances. The rhetoric hasn’t gotten to the point that I would consider closing comments, but it’s edging closer. We all should be aware of what is required to drive properly and hopefully follow the same essential steps when we maneuver in traffic. Why should there be differences in opinion between four experienced drivers? The answer probably lies somewhere in what we think that we know, how we were taught to drive and what we have forgotten over time. Learn to Drive Smart, our provincial manual for those who are learning to drive is a worthwhile read for experienced drivers along with the Tuning Up for Drivers. They can serve to refresh our basic driving knowledge. I say basic because these manuals are introductory publications meant to get drivers started and are not comprehensive guides to driving. If you are familiar with all of the content contained in them, bravo! You have a good start and can now consider learning more. The Motor Vehicle Act is our provincial rulebook. That, along with case law interpreting it produced by the courts is how we are expected to drive legally. This can be difficult to understand and will evolve slowly over time as our legislature changes the rules. I hope that my DriveSmartBC web site can be helpful in keeping you up to date here. Finally, we need to keep an open mind. There is a small possibility that we haven’t learned something, haven’t learned it correctly or think that it is proper because “everyone else does it.” There is always something more that can be learned after some consideration! 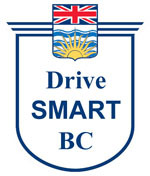 Be the first to comment on "DriveSmart BC – Can An Experienced Driver Learn New Tricks?"